So I have quite a few problems with the Deadly Origin miniseries, but one of the biggest is this scene. This is mostly because in the original, that scene went much differently. 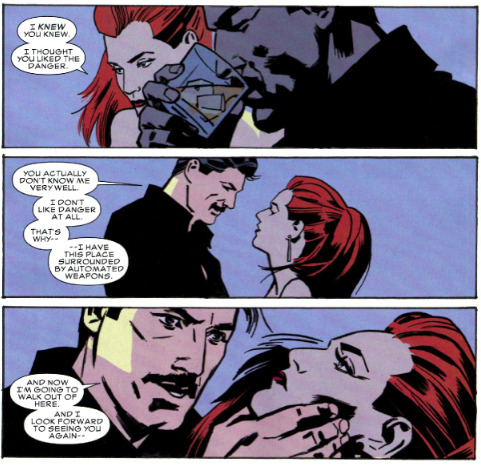 Instead of Tony Stark demeaning Natasha with body language and pulling the moral high ground out of nowhere, we got this. The incompetent goons the USSR saddled her with, because as a woman the state wouldn’t let her defend herself!! 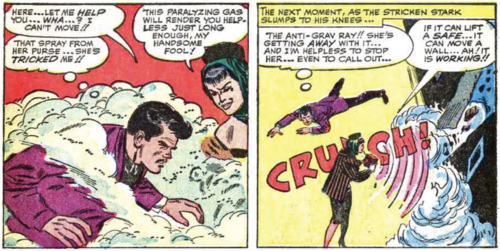 Natasha was a formidable foe for Iron Man, and his mental match, inhibited mostly by her lack of physical power and overzealous henchmen. (Yes, including Clint.) 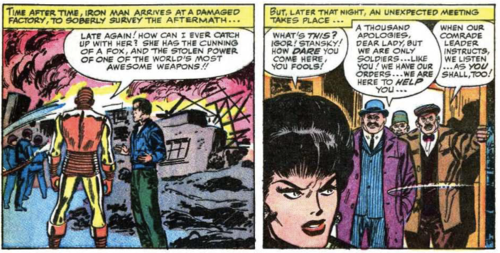 She was not an incompetent seductress in need of relationship lecturing from Tony Stark of all people. It’s a touch worrying when Stan Lee is writing a woman more in charge of herself and her abilities than a comic that came out in 2009. Personally, I imagine the flashbacks are seen through Ivan’s newly acquired misogynovision, and that placates me somewhat.